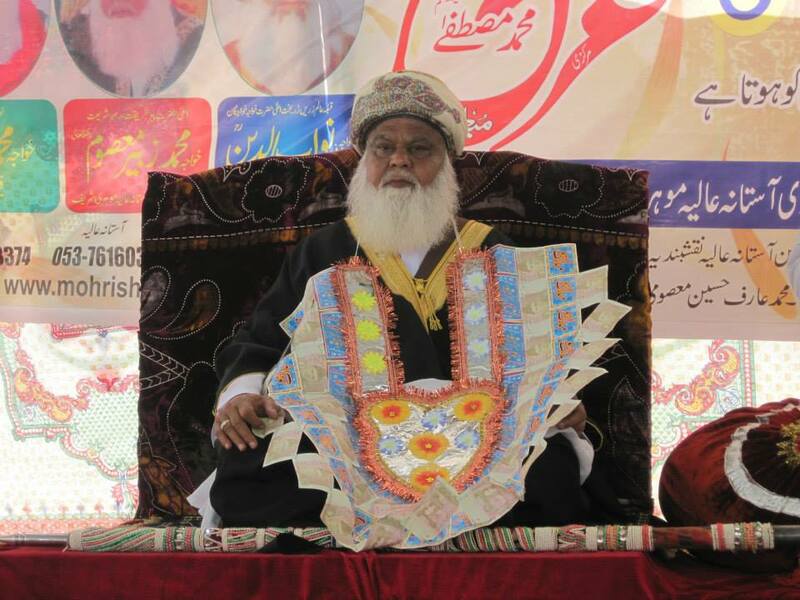 ﻿﻿H﻿azrat Hafiz Mohammad Abdul Kareem (RA) forecasted Qibla Aalam Zareen Zarbakht Hazrat Khawaja Sufi Nawab uDeen (RA) that his teachings will spread all over the world. 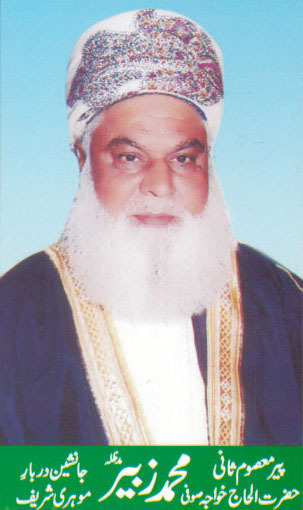 Hazrat Alhaajj Khawaja Mohammad Zubair (MZA) Saani -e- Masoom is grandson of Qibla Aalam Hazrat Nawab uDeen (RA). 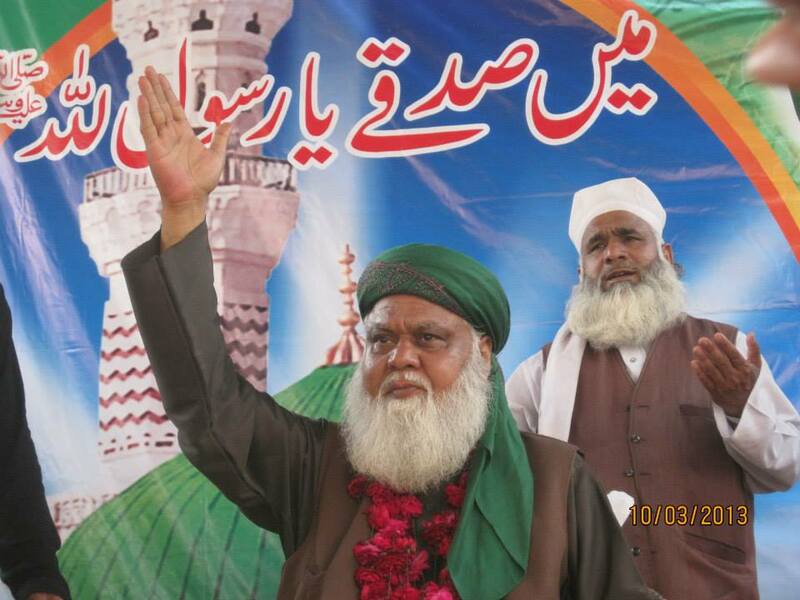 He is third son of Hazrat Khawaja Mohammad Hussain (RA) and nephew of Hazrat Khawaja Mohammad Masoom (RA). 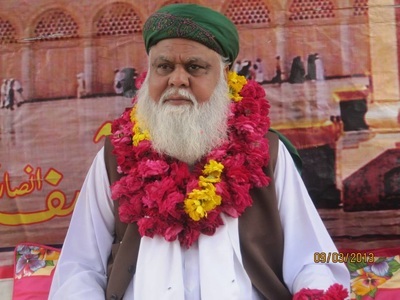 He was born on 15th November 1948 on Saturday in Mohri Sharif. On the news of his birth, Qibla Aalam Hazrat Nawab uDeen (RA) raised his hands for prayers to thank Allah for his blessing and visited the baby. 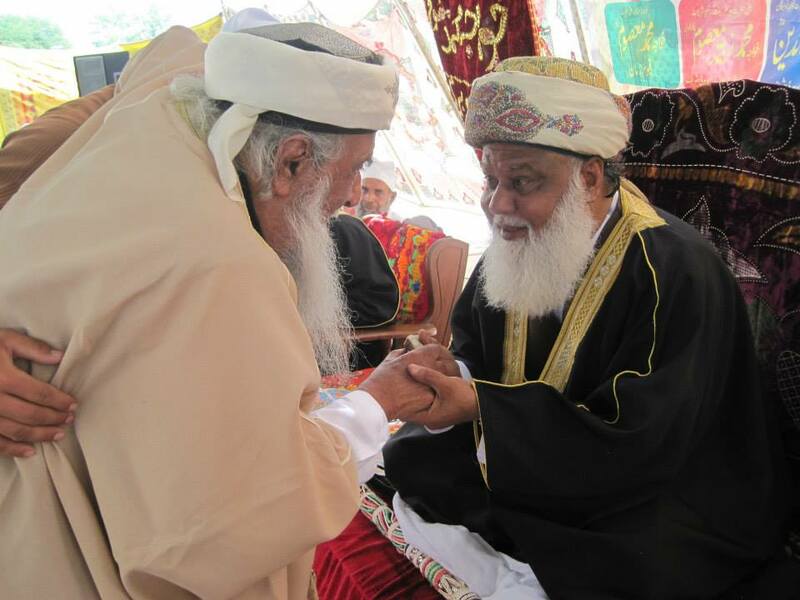 Qibla Aalam Hazrat Nawab uDeen (RA) persuaded Hazrat Khawaja Mohammad Zubair (MZA) towards Islamic teachings. He was beloved one of Qibla Aalam Hazrat Nawab uDeen (RA). 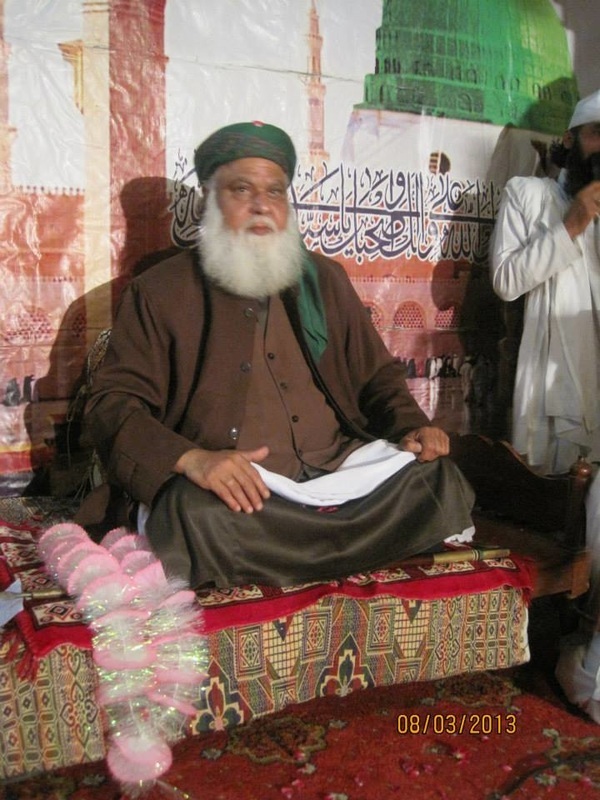 He obtained his basic education from his home town of Mohri Sharif. 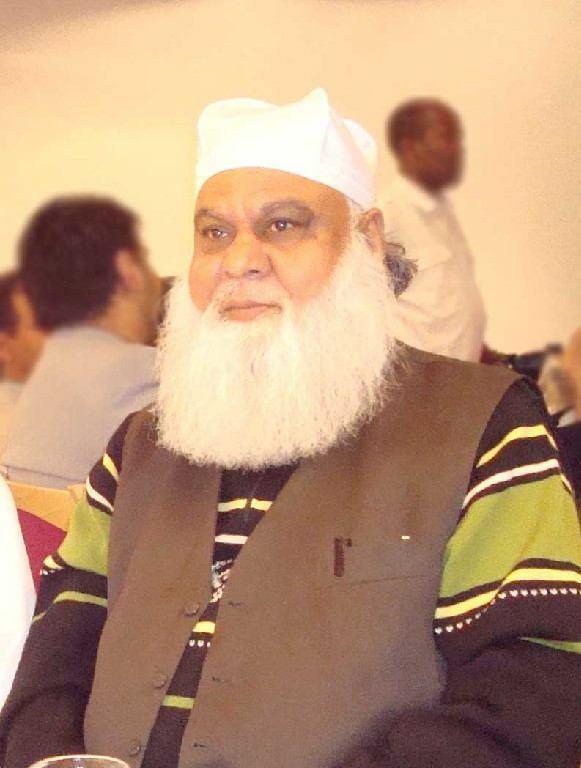 In 1970 Hazrat Khawaja Mohammad Zubair (MZA) migrated to Norway on the mission of spreading Islam and teachings of his forefathers Qibla Aalam Hazrat Nawab uDeen (RA) and Hazrat Khawaja Mohammad Masoom (RA). 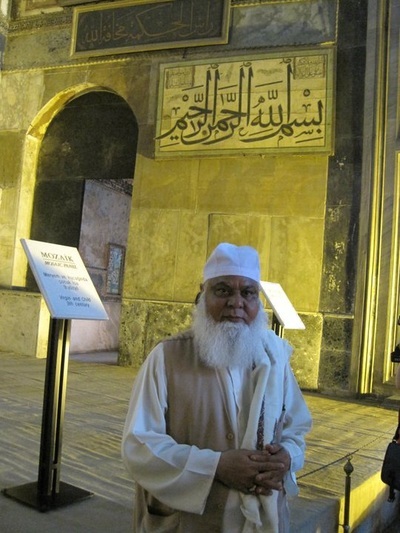 As one of the first comers to the Scandinavian country, he set up Islamic grounds for Muslims. He met with Prime Minister Trygve Bratteli of Norway to arrange for setting first mosque in Norway. Not only he set foundation of the first mosque in Norway, he also set stage and arranged facilities for Muslim community to live with Islamic standards and practice Islam. Early Muslim community had hard time surviving only on vegetarian food as there was no arrangement of Halal food. 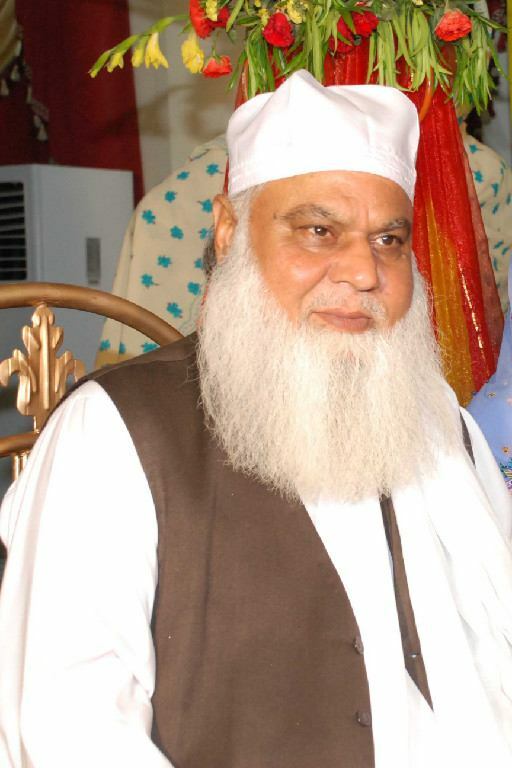 He arranged for cutting meat facilities where meat could be cut in Halal Islamic way approved at the government level. For new born Muslim kids in Norway he also arranged for circumcision services at health system level in hospitals. He also coordinated services for burial of Muslims according to Islamic practices and arranged for graveyards. Qadyani community had placed many translations of Quran in libraries of Norway and Scandinavia to spread their false beliefs. Hazrat Khawaja Mohammad Zubair (mza) replaced those with Quranic translations according to Sunni beliefs and motivated the community towards Islamic culture. With his tireless struggle, today there are countless Mosques where Muslim community is benefiting the convenience of practicing Islam in Europe. 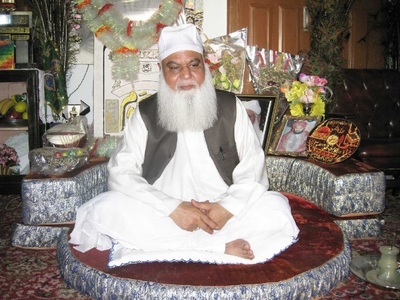 In 1974, Hazrat Khawaja Mohammad Zubair (MZA) invited Hazrat Khawaja Mohammad Masoom (RA) to visit Norway. 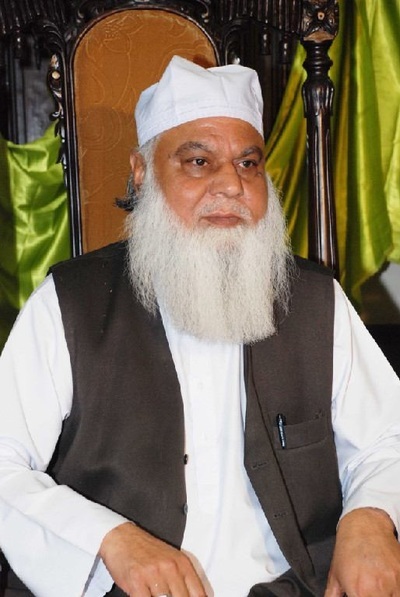 With Khawaja Mohammad Masoom’s (RA) spiritual teachings many people reverted to Islam. Once he perceived thirst of Islam in the people of Norway he added Norway to his annual trip worldwide on the tour to spread Islam. In Norway, under the administration of Hazrat Khawaja Mohammad Zubair (MZA) a regular Jumma prayer is organized weekly with addition to zikr and darood -o- salam congregations. 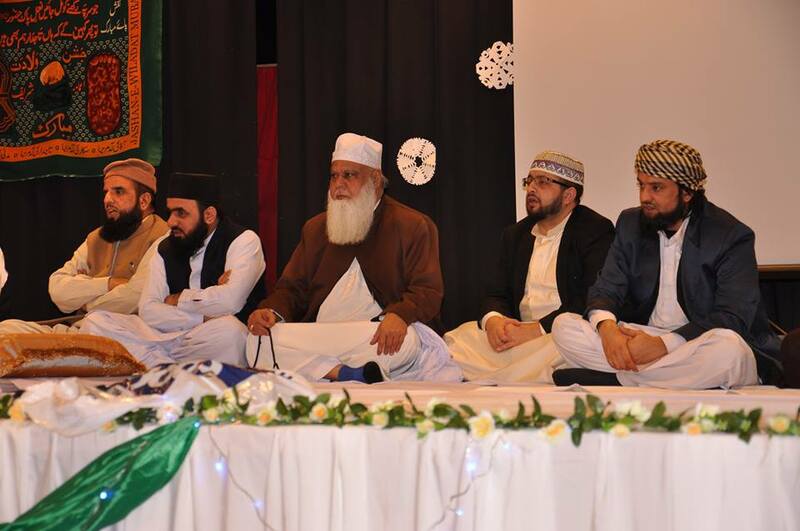 Countless people are persuaded towards practising Islam through his teachings and services for Islam. 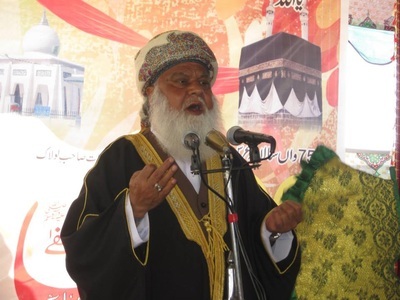 To strengthen Islamic and spiritual teachings he also formulated an organization named ‘Bazm –e- Naqshband’, under which regular zikr congregations is organized. 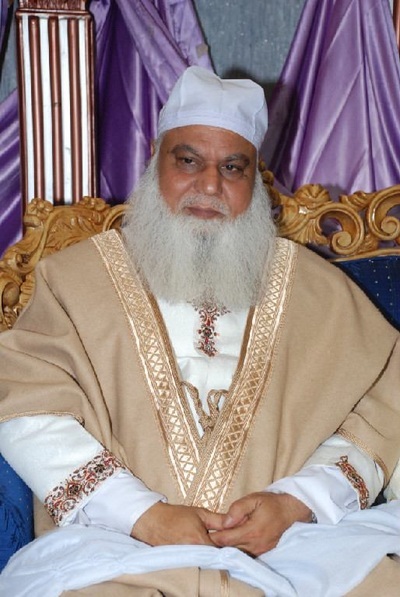 He smoothed the way towards Islam for non-Muslims providing community services in mosques. 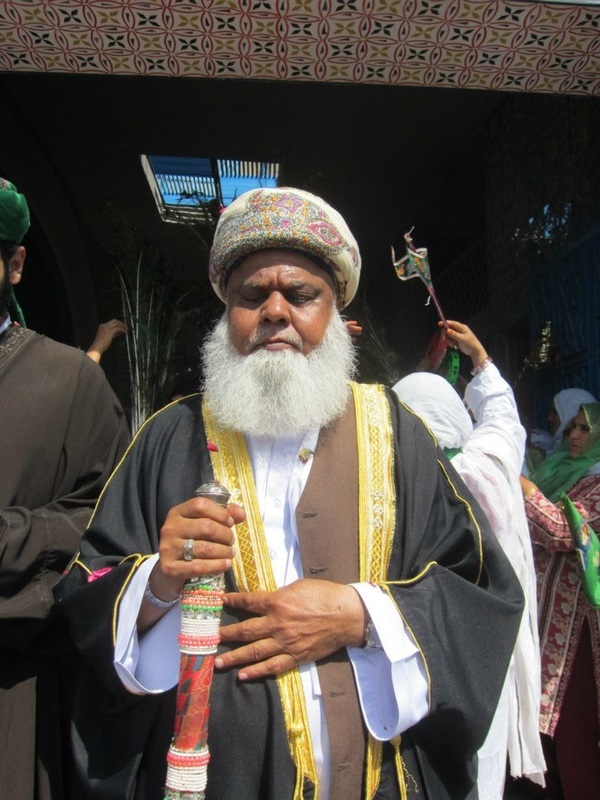 Hazrat Khawaja Mohammad Zubair (MZA) spent an exemplary time serving his Murshid Hazrat Khawaja Mohammad Masoom (RA) in Pakistan and abroad. Hazrat Khawaja Mohammad Masoom (RA) conferred upon him the spiritual Mantle of Khilaafat authorizing him to initiate his Mureeds and to conduct the spiritual training of Mureeds in 1978. He did baiyet on the hand of Hazrat Khawaja Mohammad Masoom (RA) on the annual congregation (urs Mubarak) in darbar -e- Alia Mohri Sharif in 1978. Khawaja Mohammad Masoom (RA) also bestowed caliphate to him at the same time and appointed him as his subordinate in Norway to spread his word towards Islam. 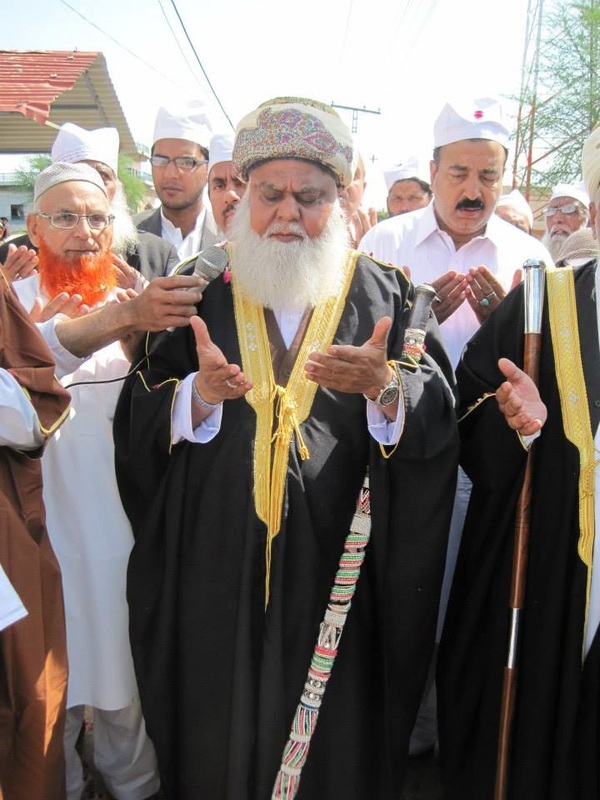 Hazrat Khawaja Mohammad Zubair being a Wali Allah, is the repository of piety and sterling qualities. His virtue, excellence of character, simplicity and dignity is acknowledged by all who came into contact with him. 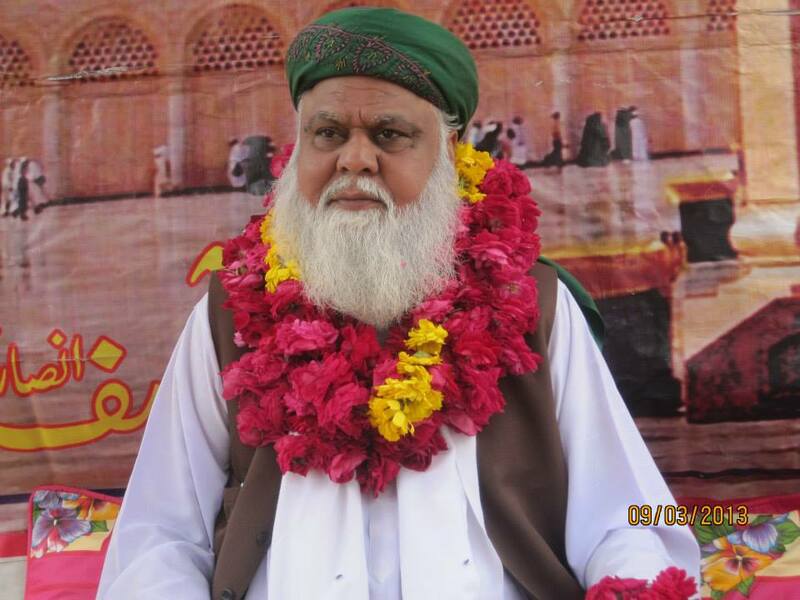 A favourite occupation during his early youth was to sit in the company of the his grandfather; Hazrat Khawaja Sufi Nawab uDeen (RA). 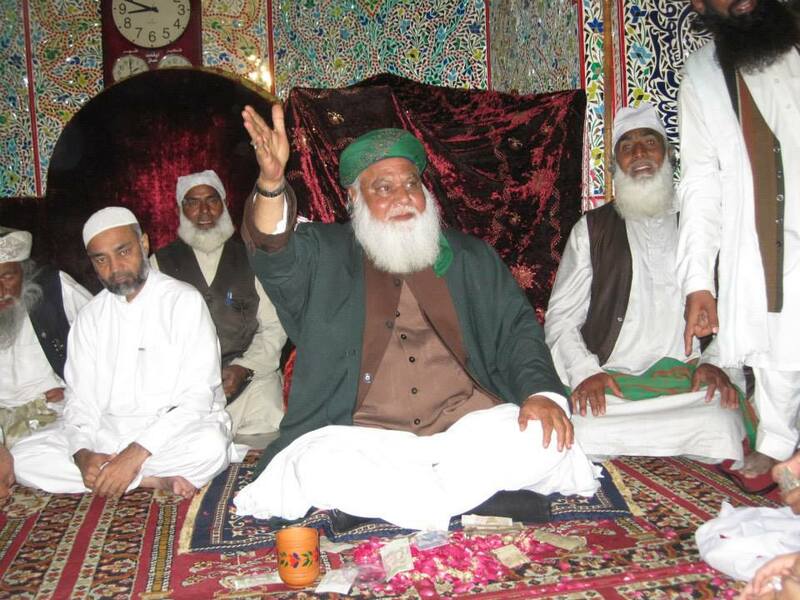 In addition to the two grand celebrations held each year, he renovated Darbar Sharif. Family graveyard is extended to accommodate the need. Up to fifty extra toilets are constructed	to facilitate pilgrims during grand celebrations. 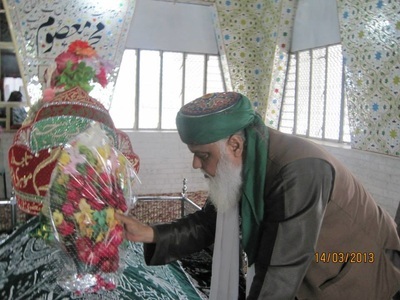 Hoz-e-Shafa has been rebuilt after being abandoned for sometime. It is Hazrat Khawaja Mohammad Zubair's Karamat and a sign that how much Allah and his ancestors are pleased with him that after Darbar Sharif's renovation, Prophet Mohammad (PBUH)'s name has appeared at two separate locations.